$20 Transatlantic Flights: Is This Man Crazy? 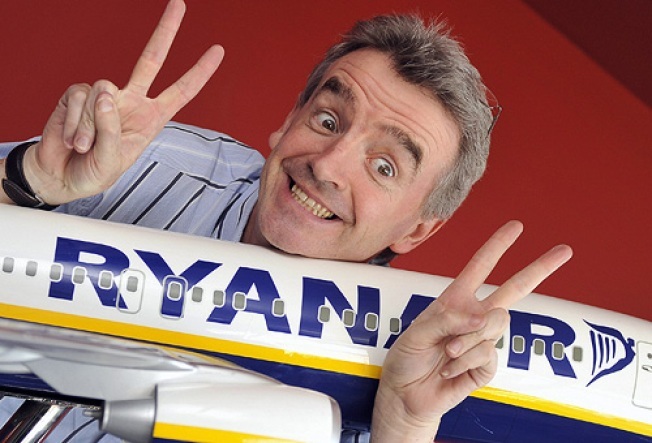 Ryanair's chief executive Michael O'Leary is promisingt a new airline that would feature $20 transatlantic flights. Is the man selling you this idea lying or just crazy? When the one making the sales pitch is Michael O'Leary the outspoken CEO of Irish budget airline, Ryanair , then the answer is probably a little bit of both. O'Leary made international waves when he floated the idea of $20 flights from England and Ireland to New York, Los Angeles, San Francisco, Boston and Florida in an interview with the British tab News of the World. He backed it up today with a few more details, saying he'd use the destruction of the airlines business to start a new budget airline that would operate separately from Ryanair. "We need a recession. We have had 10 years of growth, he was quoted as saying in the U.K.'s Telegraph. " A recession gets rid of crappy loss-making airlines and it means we can buy aircraft more cheaply." It would take about three years to get the business off the ground, O'Leary said. Prices would rise with demand, and the cheap coach seats would be offset by high-priced business class seats. And there's one other element to the equation that O'Leary is not trumpeting. Sure, the flight prices may be rock-bottom, but expect don't forget about all the taxes. Not to mention hidden fees. "Add all the extra charges like excess baggage, speedy boarding, meal and drinks on board," wrote on commenter on the News of the World. "Well the ticket wont be less than £ 300."